Backstory Archives - World of Warcraft Legion | Mythic guides, Class reviews, various tips. 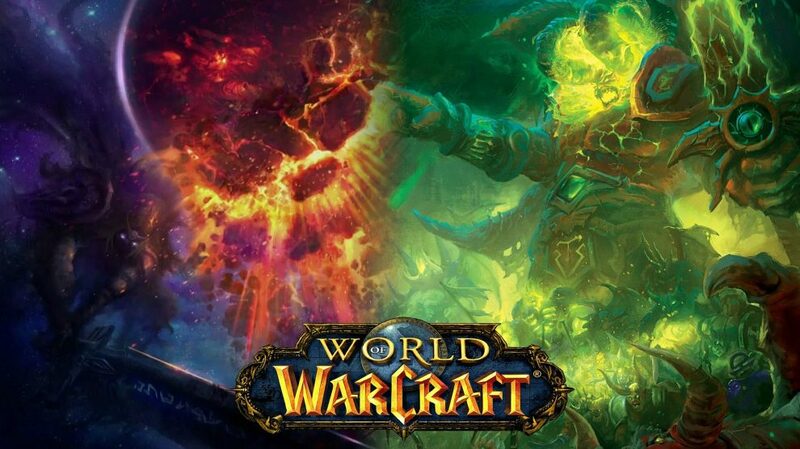 The developers intentionally let the mystery cover on the final battle in the Legion, so be careful all that below is a huge spoiler to end one of the most exciting and epic storylines of the World of Warcraft. Although the developers did not want to disclose the abilities of the final boss, they could not add the ability to the files of the game itself, and the craftsmen with Vovhead easily got to the bottom and I present to you the last legion of the Legion. Argus is a Titan | How it is Possible? Previously, for all of us, the Titans were truly inexplicable creatures and only with the release of the Warcraft Chronicles we were able to get at least some information about these all-power creatures. According to information in the book – Titans are powerful creatures that were created from the very arcana, they are born from the worlds themselves if these worlds are strong enough and they contain a special Titan-soul. 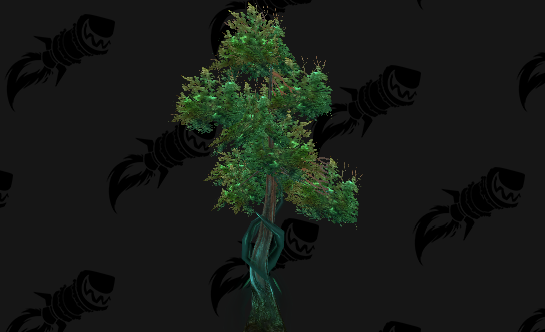 You already know that in Azeroth this very soul exists, and now it suffers, but still resists and gives hope to all the inhabitants. But what do we know about Argus? Argus is the oldest planet, the planet of the birthplace of the Eredar, as well-known as the Draenei. It is well known that the Titans visited Argus like Azeroth and many other worlds, in search of the soul of the titan and they did not find such a soul on Argus. So Who is the Argue the Unmaker and what powers he held in his hands? What was behind the Sargeras’ Great Betrayal? The thing is that in the Argus’s soul is existed but it was small so that none of the Titans could detect it or they knew that this soul does not have enough strength to become a full Titan. All of them decided to just forget about him, all except Sargeras, because he needed the power source to feed his army in his Dark Crusade. And after his great betrayal, he remembered about the existence of a weak brother and firmly decided to defile the world and all its inhabitants. As we all know, All living creatures, even the demons, have one enemy – the Lords of the Abyss, and Sargeras’s goal is righteous – he wants to prevent them from making their way into our world. But they, because of their mighty power, cannot enter our reality and for this, they need an avatar of unprecedented power, the Titan-avatar. Sargeras has set himself the goal – never to let them into our reality, even if this requires destroying all the Titans and all life in the universe. It was because of this, he began his dark crusade in which he burned entire worlds in the flames of war and destroyed any titan-soul encountered on his way. So why then Corrupted Titan spared Argus and instead of destroying, began to absorb his forces as a coal for powering his military machine? The fact is that the soul of Argus was not strong enough even to just get the form of a Titan, and the Dark Lord needed an incredible power source. Yes, the Soul of Titan has incredible power and it is thanks to her that demons are able to revive in a Nether. When the heroes invaded Argus they found there Draeneis who did not succumb to Sargeras’ false promises and remained faithful to the light, they became Krokuuns, the same Outcasts as Akama. Shamans of the Krokuuns could communicate with the soul of Argus, using special stones, and it is thanks to the benevolence of the world that they could survive for so long in the heart of the Burning Legion. Magni Bronzebeard, after the ritual of joining with the stone, also found the ability to speak with the Titans, and he heard a voice full of pain, a voice calling for help. Immediately after arrival, the Army of Light began to besiege the impregnable bastion, intending to make its way right into the heart of Argus – Anthorus the Burning Throne. It is there that Sargeras keeps his darkest secrets and the most faithful allies. 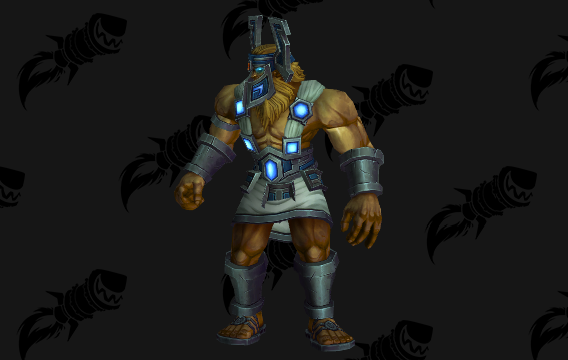 Magni Bronzebeard learned about the ancient machine of the Titans, capable of locking the spirit of a broken titan, forever depriving the Burning Legion of his immortal army. Heroes will have to fight through the never-ending forces, defeat the most powerful demons from the Sargeras Army, and even meet the souls of the other Titans of the Pantheon. It turns out that Sargeras did not destroy the Titans, or rather destroyed them not completely, they left only the old echoes of the power they possessed, and the Dark Titan decided to amuse himself. The whole Pantheon was broken, and Aggramar even went insane and joined the elite suite of the Dark Lord. 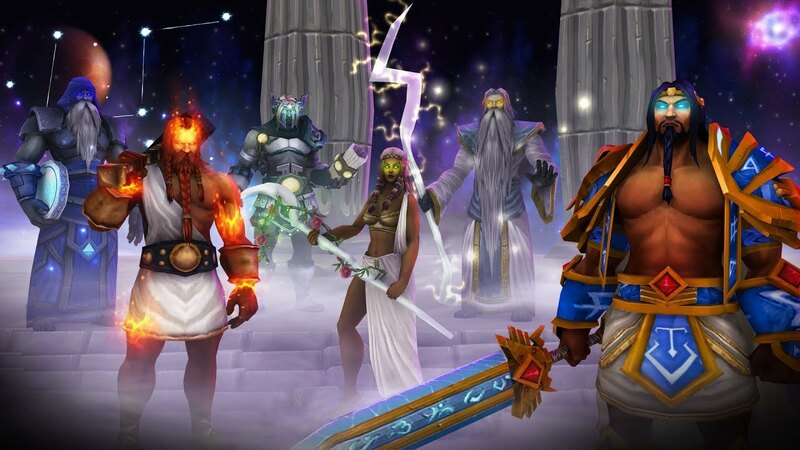 After fighting through the crowds of enemies, freeing the Souls of the Titans, the Heroes will finally approach the very core of the planet to conduct a ritual that will allow them to overcome the Burning Legion. But suddenly Titan appears in front of them in all his might. Argus the Unmaker in the flesh. 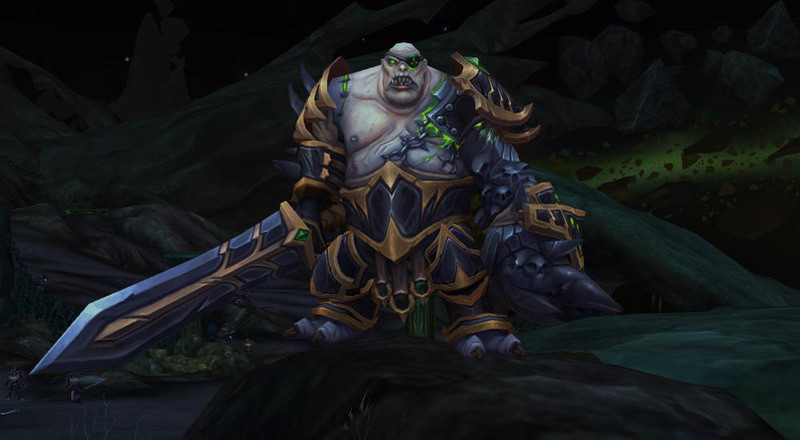 Sargeras and his dark knowledge allowed to the Argus to obtain a physical form and now, against his will, he will kill everyone who enters the sacred halls of his chambers. Argus the Unmaker begins the fight in a special arena and is armed with a huge scythe. The boss periodically clears all targets in the cone in front of him using Sweeping Scythe. In the first phase, the heroes are helped by Golganneth, the titan sitting on the left throne on the picture. He uses the spell Sky and Sea, which spawn two spheres on earth. The Sky sphere causes buff Strenght of the Sky and increasing the Critical Strike and Mastery, the Sea sphere causes Strength of the Sea, that increase Haste and Versality. During P1 Argus will breathe with the Death Fog that will remain on the Arena until Argus reaches 70% HP and Golganneth uses Golganneth’s Wrath to clear Death Fog off the platform. This is a soft enrage mechanic of the final encounter. The main thing on the P2 is the Volatile Soul, which debuffs two players with Soulburst and Soulbomb. 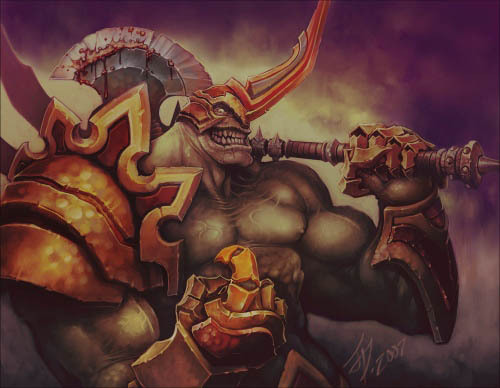 One of the tanks will be blessed with the Aggramar and receive Avatar of Aggramar, that grants a massive bonus to health and redirecting all incoming damage into himself. This hero must help their allies that were affected by Soulburst and Soulbomb to survive. Heroes will be able to reach those creatures only using the help of the Norgannon. This Titan will summon a few flying disks, and the rest is on the heroes’ shoulder. While Heroes fighting against Contstellar Designates, Argus do not lose his time and cast Reap Soul, that will kill all players. But the Eonar saves all heroes, using Gift of the Lifebinder. Players will be able to Release Spirit during encounter! Just like with the Desolate Host you will be able to travel between the two realms – the Mortal Realm, and the Spirit World, while Gift of the Lifebinder is active. Players in the Spirit world will need to consume Life Energy to resurrect into Mortal Realm, but after they consume all Life Energy, the Withered Gift of the Lifebinder will start to receive an increasing damage. Aman’Thul will also help in this phase and summon Reorigination Modules, which will help to defeat the Unmaker. Players must damage these modules, survive their Reorigination Pulse and then collect Motes of Titanic Power in the Spirit World, and after heroes collect enough of them Khaz’Goroth will cast his special ability Titanforging. We already looked at this story and datamined dialogues and found a few interesting strings about lore! 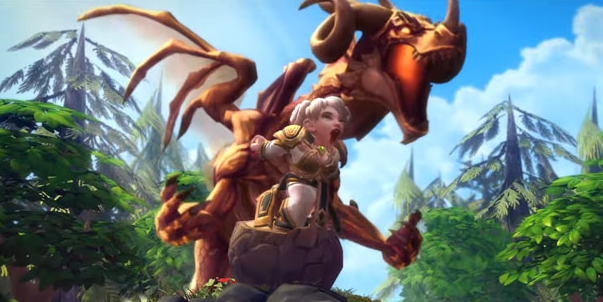 If you new in World of Warcraft then you need to know that Chromie is the bronze dragon Chronormu that loves to use female gnome form. NOTE THAT ALL THAT LIES BELOW WILL BE A HUGE SPOILERS! YOU ARE ALERTED, PROCEED WITH CAUTION. 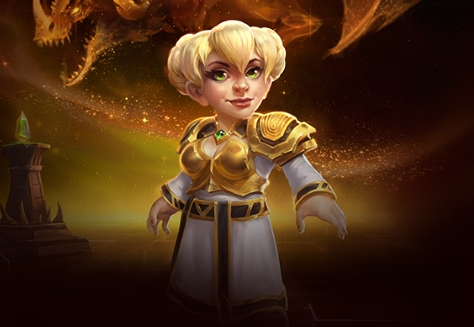 Chromie will meet you and perhaps her future (or past) copy. Hold onto your helmet… we’re traveling through TIME! Alright… let’s see here. I think we’re at the right time, give or take a minute. Am I dead yet? Oh, good. There I am over there. Hi, me! Oh, hi! What are you doing here? I bought us a few more seconds this time, but we have to move quickly. Follow me! We don’t have much time! Oh! Well, alright. You’ve never steered me wrong in the past. Or in the future. So, where are we going? Why are we leaving Wyrmrest? Alright, I’m chronoporting us to a point four hours before the attack happens. That’ll give us PLENTY of time to untangle this mess. Huh! That’s weird. Something’s blocking me from accessing that particular moment. No worries! Four hours was probably too early anyways. Let’s try one hour. Now I’m starting to get worried, $n. Whoever orchestrated this attack really did their homework. They’ve found a way to block my chronoports! We are now at a time 15 minutes before my death. That probably won’t be enough time to save me, but it’s the best I can do for now. As we can see from the next datamined info in patch 7.2.5 we will collect new shards – Chronoshards and proceed further in this quest you need to collect all of them! And when we farm enough of them, we will travel to all Dragonshrines to investigate. In the Ruby Dragonshrine, we will meet a Leach that hides inside the tree, and keep one of the Chronoshards. In Obsidian – Dreadlord that is talking with another bronze dragon. After a short talk, you will destroy this Dreadlord and receive another type of the Chronoshard. Then we will go to the Emerald Dragonshrine and which demons are connected with the emerald dream? Right – Satyrs. And of course, this satyr have another Chronoshard. We have only last shrine to visit – Azure Dragonshrine, and here we met a Void Lord that holds another Chronoshard. After receiving all Chronoshards Chromie will tell us that Legion is planning a cross-synchronous attack. 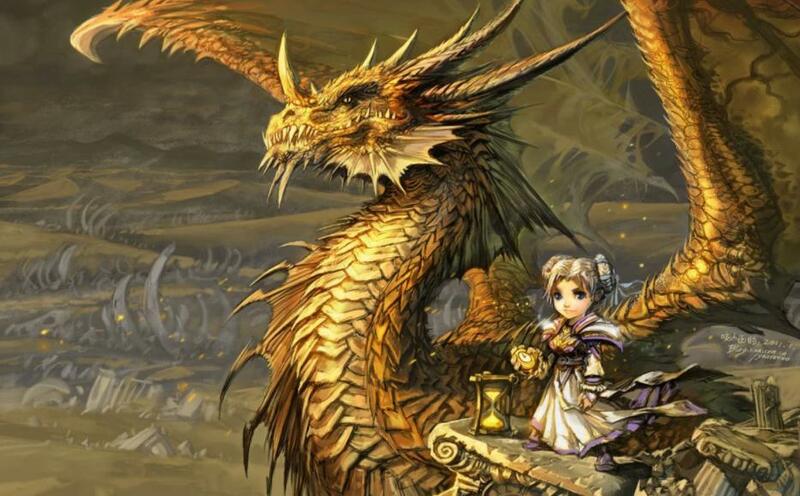 And she surprised why a bronze dragon helped the Legion? Chromie sees through the time and saw a few attacks across time, and you as a Hero need to stop them. And from this point, we start to jump through the portals that open Chromie and beat all bad guys that appear. We will travel to a lot of places, like Mount Hyjal, Well of Eternity, Stratholme and others. Not all demons and minions of the Legion just born somewhere in the depths of the Endless Void. There is a race of mortals, who under the influence of the dark forces of the Fallen Titan began their corruption path that will lead them where they are now. One of these is a Satyres. Once they was a beautiful and powerful Azeroth race, that called themselves – Kaldorei. 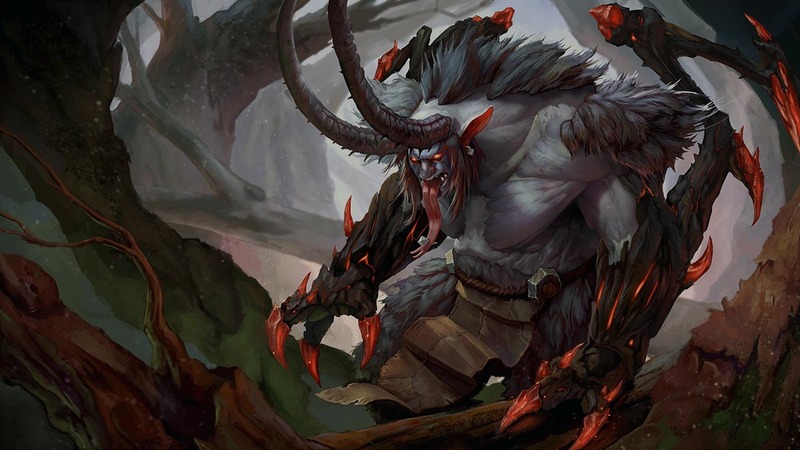 The first of the Satyres is Xavius, also he is the most powerfull and due to this he became their leader. During the first war, he with Queen Azshara betrayed his people, for which he was killed by Malfurion Stormrage. 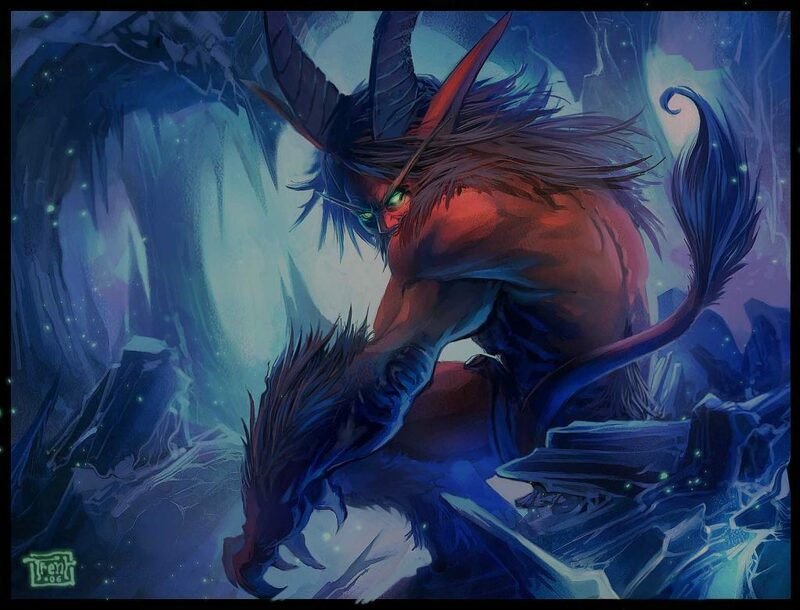 Sargeras decided that Xavius could be useful to Burning Legion and raised him by converting in terrible horned creature, awarding his with the ability to turn the night elves in the same abominations as himself. Dark Lord also awarded this race with Immortality. Instead of slender elven they now have a large hairy body, more than 2 m in height. They grew sharp claws, hooves on their feet and horns on theirs head. Appearance of satyres exactly reflects their inner world. This creatures are masters of demonic magic, but despite this they prefer to carry out attacks in close combat. Like all demonic creatures, they love causing physical and emotional pain to their pray. Inheriting from Xavius an ability to transform the elves into satyres, they are happy to spread the infection throughout the world. They quickly attack their prey and tear it a part. Evisceration gives them a special pleasure, and the bloodier it is, the better . This race has no idea of honor and so attacking their target surreptitiously. They stalk the mortals, leaving a hint of theirs presence, and Originating paranoia in victims and delusions of persecution. Sayaadi, or more commonly known as succubi – part of the female forces of the Burning Legion. Sayaadi – beautiful demonic maidens, their beauty is as insidious as it is their essence. No one know when they decided to join Burning Legion and what is theirs homeland, as well as no one ever seen any male of this race. They execute orders only those who they respect and who are sympathetic to them. But after they joined the Dark Titan, they had no choice but to live by the law. Her feet, from the hooves, covered in tattoos deposited by magic. The body is dressed in a light plate armor of unknown material. This armor is only slightly covers her body, but it is well protected from all attack. Sayaadi of the Burning Legion have recurved horns. Succubi – is a delight and burning pain in one person. Their main weapon – it is lust and seduction, through its sensual forms. Like all demons, they love to bring the pain and suffering to mortals, but often do not mind and have fun with them. These ladies try to avoid direct confrontation, preferring to fight with incredible charm, and when they win the trust of the victim, hit them in the back. Many mortal sorcerers choose Sayaadi as their companions, but rarely unwittingly fall into the uncontrolled love for them. Racial leader of succubi was Queen of Suffering, as a great and powerful, that could even tempt immortal beings. Shivarry – one more representative of the beautiful half of the Burning Legion. As is the case with Sayaadi nothing about the representatives of the male race is unknown. And we know almost nothing about these strange and fascinating creatures. In the ranks of Sargeras they serve as priestesses and chaplain (priest). Demonic six-armed woman, very devout by nature. Like sayaadi, their body only half covered with light armor. Shivarry have no particular racial leader, they dutifully serve the same God – Sargeras. One of the recognized representatives of a Mother Shahraz. Mo’arg – a powerful and very intelligent demonic race. These terrible creatures, were opponents of Sargeras, at the time when he was still a defender of the Pantheon. Like many of the other races, they were born in the depths of the Twisting Nether. After the madness of Titan, he got them into the ranks of his troops. Mo’arg are outstanding engineers and blacksmiths, they were born only to create machines, and will give odds to almost any goblin and gnome of Azeroth. Every self-respecting Mo’arg feels obliged to modify his body, equipped with its own inventions, replacing flesh with an iron hand-saw or mechanical pair of eyes. They refused even from food itself, replacing stomachs with mechanism on the batteries. In the ranks of the Legion, these vile creatures, exercise defense, forge weapons, create siege machines, equip camp. Under the guidance of the brilliant engineers working Gn’args – undersized Mo’arg that are engaged in repair and service equipment. However ehey are not no more stupid than their tall relatives, but do not consider it important or necessary to improve their body. This Race dont have any leader. Fel Guard may be called the main combat unit of the Burning Legion. These demons are Mo’arg race. In spite of theirs low position in the huge army, they are not much inferior to the power of its leaders. They operate under the guidance of the Doom Guardians and Destructors. These demonic creatures fearless and steadfast allegiance to their leaders. This muscular demons are about 2.5 meters tall. They have red skin, leg end with cloven hooves. Three small horns growing right out of their heads, while the two long horns protruding from his back. They have a giant sword oddly shaped with sharp corners and teeth. Unlike the higher demons, they do not rely on magic and deception, they shy away from it all. Their weapons – clean power, they are trained only to fight and can not do anything more. They overwhelm their opponents with lightning speed. Demons are not stupid, like their race engineers use all sorts of tactics and looking for weaknesses in the enemy’s rear, causing powerful punches. Their forces exceed the forces of the mortal races. Outside of battle, they are disciplined and obedient, but when given the order to rush into battle, they turn into wild, unforgiving, ruthless monsters. Leader, like other Mo’arg, have been observed. But the bright representative of these creatures – Fel Lord Zakkun that, in the opinions is an evolved stage of the ordinary fel guards. Sargeras create a huge and unstopable army. This army consists from a lot of cruel, cunning and powerful races.In this section we will look at the most influential of them, and we’ll startwith Pit Lords. Pit Lords – one of the most powerful demons that originated in the chaotic astral region called the Twisting Nether. Their power can be compared only with the power of the Legion generals themselves – Archimonde and Kil’Jaeden. These ruthless, huge destroyers are the military commanders of the Burning Legion. They are just as enormous and majestic, as cruel and powerful. This is one of the most bloodthirsty, barbaric butchers that roam in the Endless Void. These hulking sowers of hatred and death, nourish love only to destruction and causing pain to all living creatures. In contrast to the artful Nathrezim, which we will mention in the next article, they prefer a simpler approach to the conquest of the world, rather than the first. Their approach – all kinds of intimidation and torture. Often they are enslaved inferior races of demons that would in the future, when the deposition of the mortal worlds, to use them as cannon fodder. 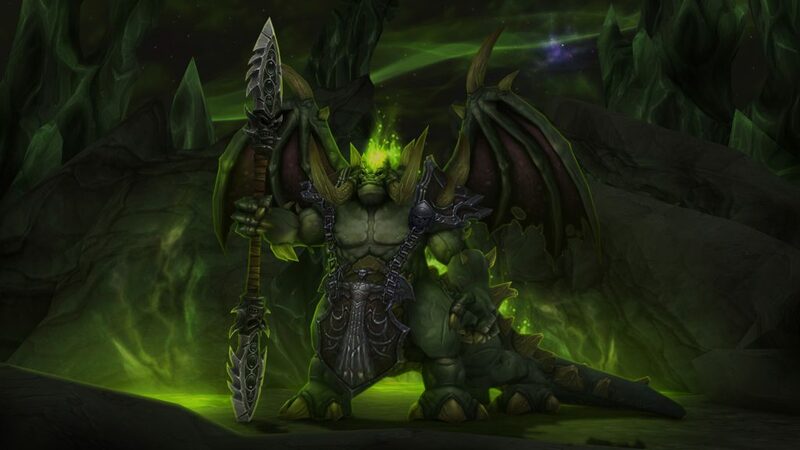 Despite the fact that this race was recruited Kil’Jaeden many centuries ago (it is believed that it happened somewhere between 11 and 25 thousand years ago), they acted under the authority of Archimonde the Defiler. In carrying out theirs activities as a commander, destroyer also acted as living siege machines, overtaking chilling horror to all those who had to face with them. But often they do not participate in the battles, as they are too important to the plans of Burning Legion. 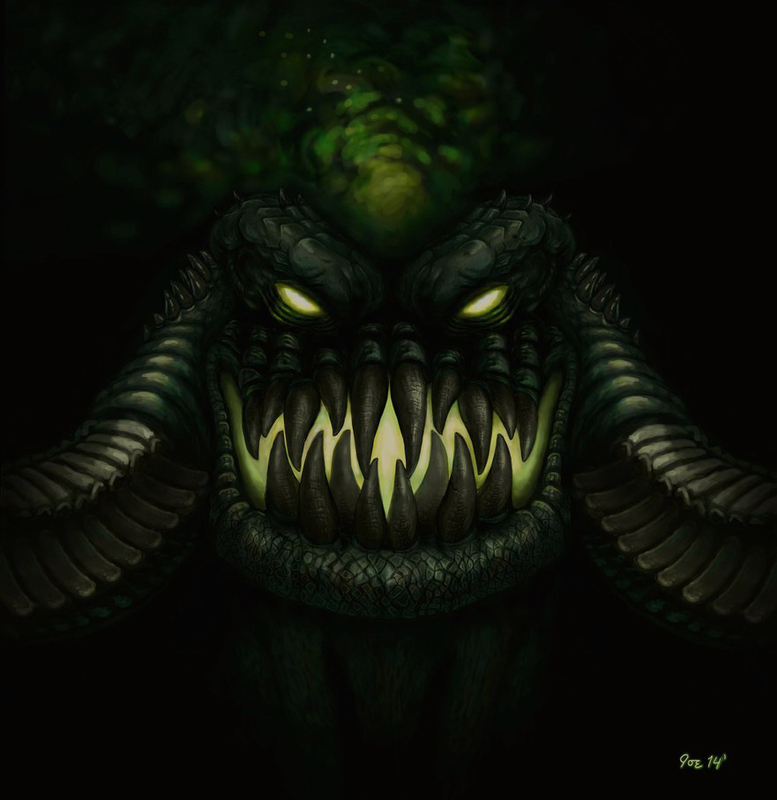 One of the most famous, recognizable representatives of this race, is their leader, a terrible, most powerful of them all – Mannoroth the Destructor. It is also not less known and Magtheridon and Azgalor.